Oklahoma Permits is a look across the three main plays in Oklahoma, the Stack, Scoop and Arkoma plays. This data covers 2017 and 2018 YTD. This is an “interactive” dashboard. You can filter down to set parameters by clicking on the “Blue” buttons at the top of the dashboards, filtering down to specific plays and wellbore profiles. You can also use the “pulldown” menus to filter, as well as incorporating the wildcard inputs “Formations” or “Operator” to filter down for specific formations and/or operators. Use your mouse to hover over any of the data displayed, where you can then also click to filter down to a subset of the data, and then click it again to unselect. You can always refresh the page to reset all filters. 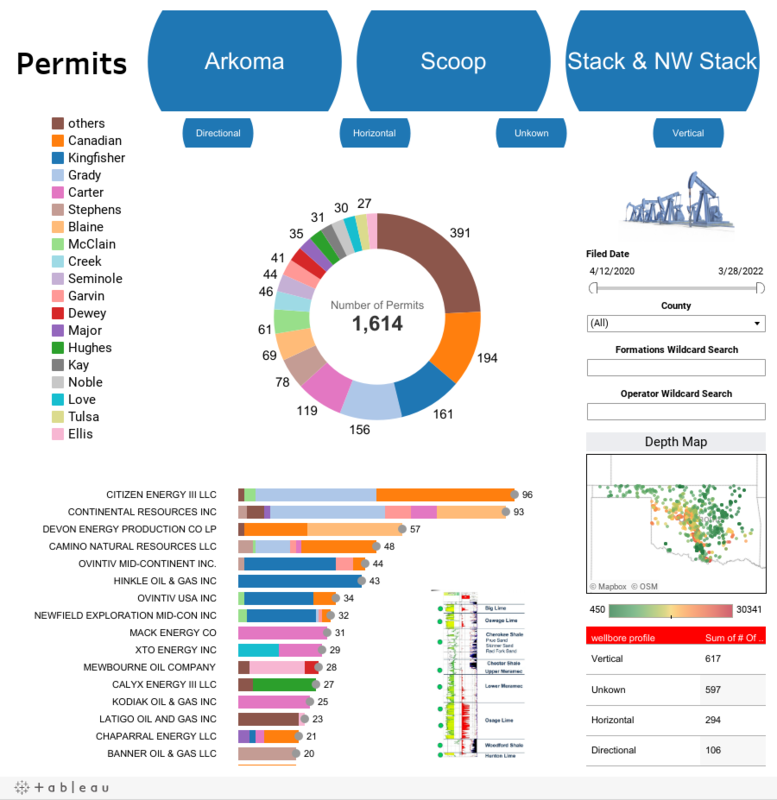 Permit Activity in Oklahoma Last 12 Months from Oseberg.